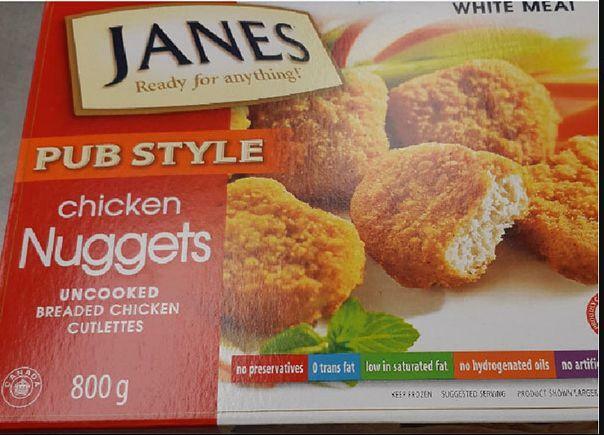 The Canada Food Inspection agency says the popular Janes brand pub style chicken nuggets and cutlets are being recalled because they could be contaminated with salmonella. The recall covers 800-gram packages with a best before date of Dec. 15, 2019. Consumers are advised to throw them away and not to eat them. They can also be returned to the store where they were purchased. The CFIA says there are some warning signs to look out for. “Food contaminated with Salmonella may not look or smell spoiled but can still make you sick. Young children, pregnant women, the elderly and people with weakened immune systems may contract serious and sometimes deadly infections,” said CFIA on its website. The recall was the result of an investigation into a foodborne illness outbreak. The CFIA says the public will be notified if other products are be recalled.